The versatility of extrusion 3D-printing with particle-loaded paints (with reduction in the case of oxide powders) followed by sintering has been demonstrated by the Shah and Dunand groups across multiple metallic material systems ranging from single elements (Fe, Cu, Ni, etc.) to complex intermetallic shape memory alloys (NiTi-Nb, Ni-Mn-Ga). The aim of this project is to gain insight in the underlying densification mechanisms upon reduction/sintering of the as-printed structures to understand and control the evolution of inner porosity of printed filaments. 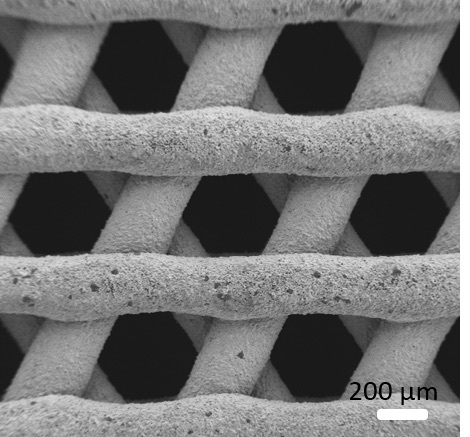 While the macroscopic porosity of a lattice is defined by the printed geometry, the porosity within the individual struts/filaments is related to densification upon sintering. Interdiffusion in multi-material systems can create additional porosity by the Kirkendall mechanism. Controlling porosity levels allows tailoring 3D-printed structures for different applications, from load-bearing lattices with dense struts, to implants with open-porous structures for improved osseo-integration. Methods employed in this project include ex-situ metallography and in-situ synchrotron-based X-ray diffraction and tomography to study phase evolution, interdiffusion, pore formation and evolution as well as local and global shrinkage. Figure 1. 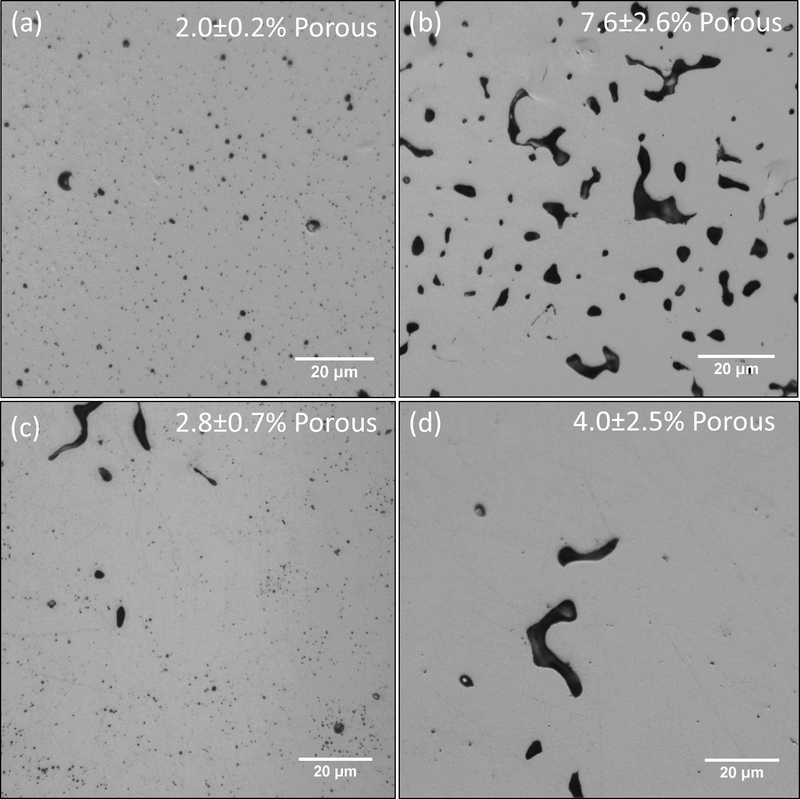 Optical micrographs of polished metallographic cross-sections of struts in 3D-printed iron and nickel cellular materials after sintering derived from: (a) Fe2O3, (b) Fe, (c) NiO, and (d) Ni powders. Late stage sintering pores are present in (a) and (c) while (b) and (d) show residual porosity associated with intermediate stage sintering." Figure 2. SEM micrograph of an iron micro-truss fabricated via 3D-printing of a liquid ink containing Fe2O3 particles and subsequent reduction and sintering heat treatment. Images from : Taylor, Jakus, Shah, Dunand "Iron and Nickel Cellular Structures by Sintering of 3D-Printed Oxide or Metallic Particle Inks" Adv Eng. Mater. 2016, DOI:10.1002/adem.201600365. Taylor, Jakus, Shah, Dunand "Iron and Nickel Cellular Structures by Sintering of 3D-Printed Oxide or Metallic Particle Inks" Adv Eng. Mater. 2016, DOI:10.1002/adem.201600365.